Christophe obtained his Master in Biology (2003) and PhD in Computer Science (2009) from ETH Zurich, Switzerland. After a postdoc at the European Bioinformatics Institute near Cambridge (UK), he joined University College London as lecturer (2013), then Reader (2015). In 2015, he joined the University of Lausanne as SNSF professor, retaining an appointment at UCL, where part of his lab remains active. 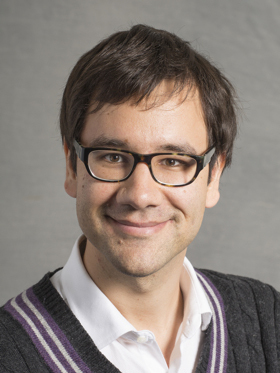 Since 2016, Christophe is also a group leader at the Swiss Institute of Bioinformatics. Since 2016, Christophe is also a group leader at the Swiss Institute of Bioinformatics. An interview in English is available here. A profile page in French is available here. There is also an interview in French here. Selected interviews and quotes are listed here. Last modified on February 17th, 2019.